The Goodness Of Ezekiel Bread! - Bonny Was Fat. Not Anymore. The Goodness Of Ezekiel Bread! In the past few years there has been widespread awareness about the ill effects of extensive wheat consumption.The newest substitute on the block that is being touted as the healthiest alternative to wheat is Ezekiel Bread. There is also the fact that wheat forms a huge part of the staple diet of many people and hence is a great cause of concern since a large number of people are directly affected by its ill effects. Since the knowledge about the ill effects of wheat has become widespread, more and more people have started looking for healthier alternatives to incorporate into their daily diets as a substitute for wheat. Ezekiel bread is essentially a type of sprouted grain bread that is prepared by using traditional methods of soaking, sprouting and baking. This method of preparing bread has been in existence for thousands of years and is considered to be one of the most effective and efficient ways of preparing bread. The bread is 100% natural and contains no added sugar, no preservatives and no artificial ingredients, unlike most of the other breads that are commercially produced and widely available in the market. Compared to the other breads, Ezekiel bread has a higher protein, fiber and absorbable vitamins and minerals content which makes it a healthier option than most other wheat substitutes, and even wheat itself. It also contains lesser harmful anti-nutrients, like phytic acid, and even the gluten concentration is significantly lower. Before coming to the health benefits of Ezekiel bread, let us first discuss about sprouted grains since they are the main ingredient of the bread. Grains ‘sprout’ when they are immersed in water and their green sprout grows. During this process, a group of enzymes and chemicals constantly work to provide nourishment to the wheat’s germ and endosperm. These two are basically two out of the three sections that make up a whole grain. This whole process is known as germination and it increases the nutrient value of the grains and makes vitamins more easily available to the body, which would otherwise not have been obtained from the regular whole wheat bread. 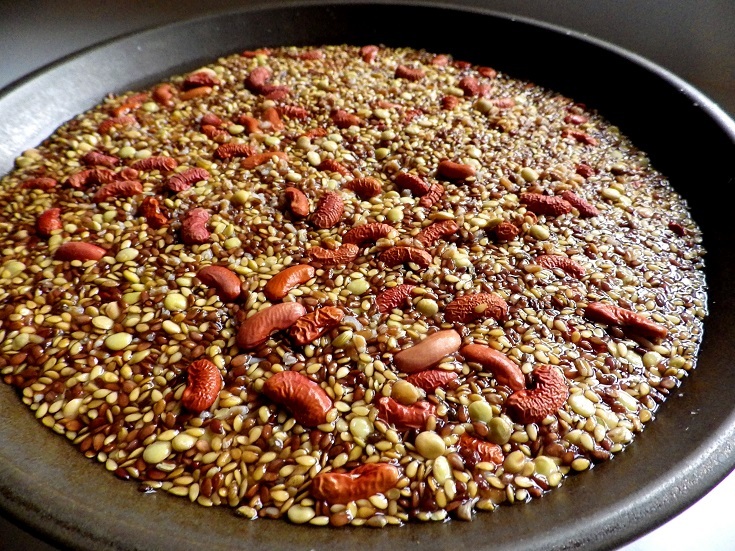 Sprouting also helps in breaking down the anti-nutrients that inhibit the absorption of the nutrients and minerals. This makes it much easier for the body to be able to absorb calcium, magnesium, copper, zinc and iron. The best part about the Ezekiel bread is that it contains absolutely no flour whatsoever and is made of a mixture of grains and legumes such as organic wheat, spelt, millet, barley, soybeans and lentils (all sprouted). It is the presence of these constituents that makes the Ezekiel bread a complete source of al proteins, almost at par with milk and eggs, containing all the nine essential amino acids. The body is also provided with high amounts of fiber through a combination of grains and legumes which makes the bread a low glycemic index food that keeps the body satiated and full for a longer period of time, thus cutting down on mindless snacking and hence the overall calorie intake of a person throughout the length of the day. The Million Dollar Question- Is Ezekiel Bread better than Whole Wheat Bread? More and more doctors are suggesting that their patients drop the flour containing generally available breads and instead opt for the whole grain Ezekiel bread. The vitamins and minerals contained in the Ezekiel bread are more readily available to the body due to the internal processes of the seed during the process of germination. More and more nutritionists and dieticians are also prescribing the bread as part of their weight loss regimes ad fitness plans. The regular 100 percent whole wheat bread provides fiber, protein and vitamins to the body too, but the Ezekiel bread, as compared to the regular bread, will provide a greater amount of these nutrients in a more absorbable state in the same amount. One slice of the Ezekiel bread contains 4 grams of protein, 3 grams of fiber and only about roughly 80 calories. Also, in addition to being more nutrient dense and having a higher fiber and protein content, the Ezekiel bread lacks added sugar and also has less gluten content than most other normal breads. The only downside to the Ezekiel bread is that even though this sprouted bread is much easier on the digestive system as compared to other general breads, it could still cause a little amount of irritation for those people that suffer from certain food allergies or intolerance. That being said, if one is generally trying to cut back on gluten content in their foods for other reasons (apart from calories), then switching over to Ezekiel bread from the general whole wheat breads is a comparatively easier way of lowering the daily gluten intake. Coming now to the experience of the people with the bread, more and more people who have expressed their views about the bread online have had only positive things to say. Various people have reported that the bread has helped their weight loss regime to a great extent. A few others have said that even though the bread is a lot healthier than whole wheat breads, it still tastes good and they have had a generally positive affect on their bodies ever since they shifted to the Ezekiel Bread. More and more people are highlighting the good aspects of the bread and the Amazon reviews section of the product has people raving about the numerous health benefits of the bread as well as the various positive effects it has had on their diets and general health. All in all, the bread seems to be a healthy option for all those looking to substitute wheat from their everyday diet. Eating Makes You Fat? Think Again. When People Ask Me To Choose Between Dieting And Calorie Counting, I Say..